One of the hallmarks of preeclampsia or HELLP syndrome is their rapid progression: one minute you may be feeling what seems like the normal discomfort of pregnancy, and the next you may be fighting for your life. There is a large gap between your expected pregnancy experience and its reality. Women who have experienced this rapid decline in health due to a hypertensive disorder of pregnancy are often overwhelmed not only by their symptoms, but by the extreme nature of the measures taken to preserve their lives and the lives of their babies. This onslaught of unexpected activity is centered around one of the most life-changing events a woman will encounter - giving birth. The routine delivery that was once on the horizon is shattered into an array of possible outcomes, many of them negative. But what happens after the monitors are turned off and the IV's are removed? Families are left to pick up the pieces of the preeclampsia experience and try to fit them into a story that makes sense. Talking over the details can be quite painful, confusing, and unsettling. You may also have unresolved anger stemming from the experience. During this emotional time it is important to lean on the people who love you and let them help. Women who are recovering from preeclampsia may feel like they can handle everyday tasks, but physically they may still be left with lingering limitations. Take it slow and follow doctor's orders. Start asking questions, if you haven't already. 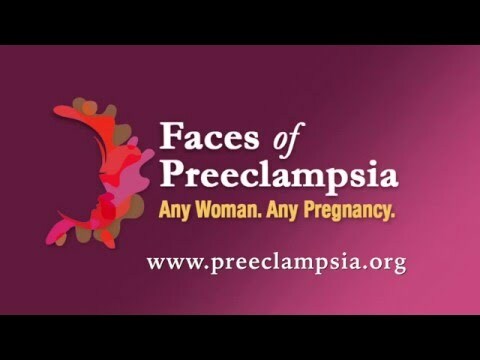 You may find yourself combing through the internet and books for more information, and perhaps that is what brought you to the Preeclampsia Foundation. Join the forum to connect with other families who are going through similar situations. Schedule some time with your physician to discuss what happened and get a copy of your records. Take time to grieve. Grieving doesn't necessarily have to be precipitated by a loss. Suffering a life threatening condition can leave both emotional and physical scars. You may feel guilty for not carrying your baby to term, or for getting sick, or for not knowing to get help sooner. Whatever the case may be, allow the grieving process to take place and seek assistance if it's too much to bear on your own. Listen to those who may recognize your need for help before you do. Take time to identify and appreciate any positive outcomes of your experience. Thank those who were there to support you. Make a commitment to yourself to do everything possible to restore your emotional and physical self. While nothing can change the past, we must each find a way to move forward from a high-risk experience. Whether it is through active support to raise awareness at a local or national level, or a quiet telling of your story to a new friend, choosing to share your experience may not only help heal your own heart, but it may also help save another.